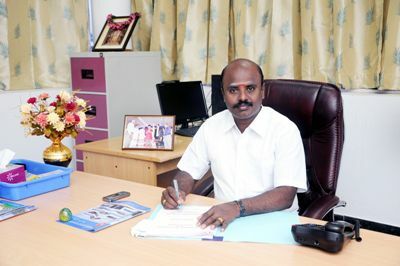 Rtn.PHF.P.Rangaraj Secretary, AIMS,Rtn.PHF.P.Rangaraj administers the Institute with extreme imagination and candor. When it comes to decision making, he is the ever constant Northern Star and never fluctuates. The growth of this institute is a proof of his total dedication, unstinted inspiration and easy accessibility. He is a renowned social activist with prime vision to uplift the disadvantaged section of the society. His entry into the field of specialized education is to offer a strong helping hand to the younger generation that aspires to win laurels in the fast-track of post-modern life, that demands empowered knowledge, at the global level. "We have a very clear vision and our role is to bring this vision to life, provide strategic guidance and, importantly, independent advice and correct judgment. Our members, representing the strands of our vision, are highly accomplished and experienced in their own fields. The rich mixture of diverse talent that we can draw on is of tremendous value to the Business School. Their knowledge and skills, grounded in the realities of business management, academic and public life, provide a great sounding board for the Business School. Their networks further enhance the excellent links, active dialogue and engagement we already have with the business community at all levels."